is the logical choice as a tow vehicle. If you love the outdoors, chances are pretty good there is a pick up truck or full sized SUV in your garage. Once categorized as “gas guzzlers” these collective towing vehicles are today a standard of the American way of life. Americans work hard all week long so they can go play with their toys on the weekend. Getting those toys from point “A” to point “B” and there are no shortage of vehicles out there to pick from. This blog isn’t about promoting Dodge, Chevy or Ford, but rather to provide some hints on what makes for a suitable tow vehicle. Full sized SUV’s and trucks are both very capable tow vehicles. Which works best is more about personal taste than towing function. SUV’s typically have a little less cargo space, but they make up for that by providing the ultimate in driving/riding comfort and passenger space. A pick up truck makes the most of cargo space, but standard cab and even extended cab trucks are limited in seating. For my money the Crew Cab or four door pick up truck is the best compromise as it provides maximum cargo space and comfortable seating for four adults. All three of the major American automobile manufacturers offer Crew Cab pick up trucks designed to be used as towing vehicles. A 1/2 ton truck is more than adequate for towing most of the toys a fisherman is likely to own. A 3/4 ton model starts to become necessary when towing larger and heavier boats like fiberglass bass or walleye boats, Great Lakes style boats and fiberglass center consoles and flats boats. While a 1/2 ton truck will tow most of these boats nicely, the problem comes in when the truck is fully loaded with fishing gear, coolers and the hundreds of other items a fisherman travels with. Most 1/2 ton trucks simply don’t have the suspension to handle a heavy boat and a bed full of fishing gear. The adage that diesel trucks last longer than gasoline trucks is kind of an urban myth. It used to be that a gasoline truck could be expected to last about 100,000 miles. These days a gasoline truck that is properly maintained will run strong for 200,000 or even 250,000 miles. While diesel trucks will last that long and longer, the cost of owning a diesel truck levels the playing field. Not only is diesel fuel more expensive than gasoline, modern diesel engines require the use of diesel exhaust fluid which adds more cost to ownership. A little known fact about diesel engines is they also require frequent fuel filter changes which can cost as much as $300.00 every 12,000 miles. Because diesel trucks have larger engines, there is also an up charge to oil changes and other basic maintenance and repairs. In short, a diesel truck is going to cost a few thousand dollars more per year to operate than a gasoline truck. Unless you do your own oil changes and are capable of changing out fuel filters as needed, owning a diesel truck as a tow vehicle is a poor choice unless a large boat is in the picture. 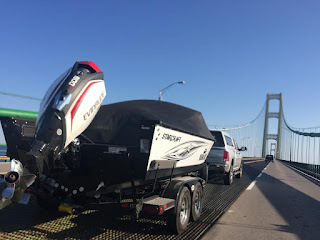 A 3/4 gasoline truck with a suitable engine is going to make short work of towing all but the largest boats and save you money in the process. Both 1/2 and 3/4 ton trucks come equipped with a host of different engine sizes to choose from. The smaller engines deliver a little better fuel economy for every day driving, but fuel economy is relative when towing. Because a smaller engine has to work harder when towing, any fuel economy enjoyed while dead heading is going to be lost while towing. Larger engines may not have the fuel economy on paper, but because these engines don’t have to work as hard when towing, they tend to last longer, suffer from fewer break downs and deliver the most dependable service. A tow vehicle is a lot like a fishing boat in that there is no perfect vehicle for every situation. 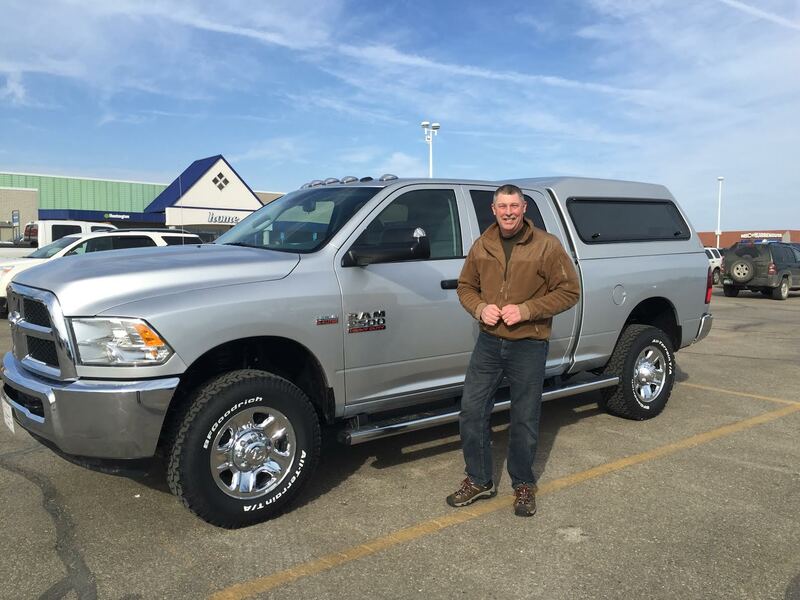 Because owning a tow vehicle is a compromise of sorts, I tend to favor owning a larger and heavier duty vehicle that I know is going to last longer when exposed to heavy highway miles. Advertising hype aside, the next time you’re in the market for a tow vehicle take these thoughts to mind. A tow vehicle should not only be capable of handling your boat, but also all the other stuff you plan to take along for the adventure.